Mix with all other ingredients except tater tots. Pour into a 9 x 13 baking dish. 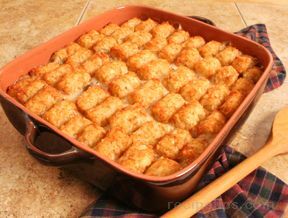 Cover the top of the mixture with the tater tots. Bake in preheated oven for 60 minutes. 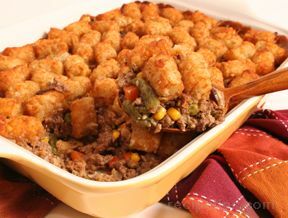 Casserole should be bubbly and tater tots crispy. 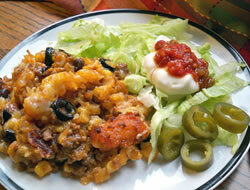 "Great hot dish! 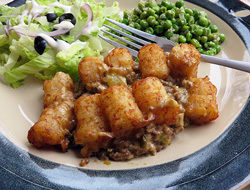 We love tater tot hot dish and we really liked the extra flavor from the cheese and green chilies. We will probably make it like this in the future."